I hope you all had a great weekend. First, if you're a "Walking Dead" fan then last night might have been a real treat for you with the season premier. I know that it was for me! Check out my article "Natural Hair on 'The Walking Dead', if you haven't already done so. In hair-related news... Last Friday, I did a length check on the back of my hair. My results are in the photo above. I've retained another 1 1/2- 2 inches of growth. Thank God for that! 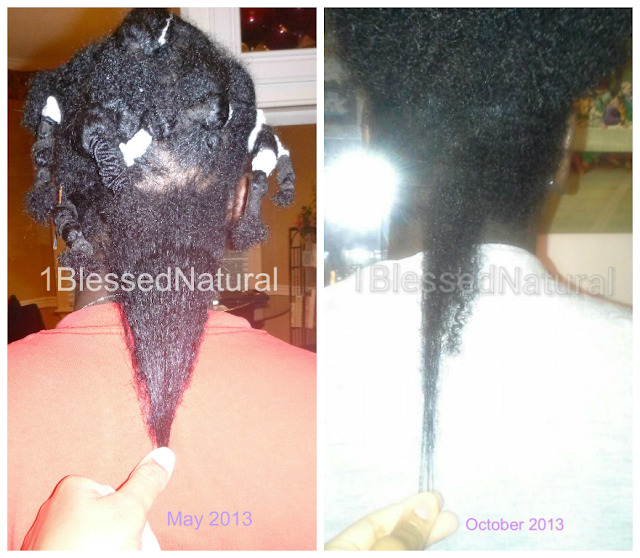 When did you do your last length check? How long was your hair?